We stopped when I moved out for University. My Gilmore Girls journey ended when Jess left Rory. Now I have resumed that journey. Apparently there’s a whole Logan situation that I have yet to encounter. However, one thing that bothers me on this show is the eating. Lorelai and Rory always talk about eating, they buy junk food, they set out junk food, they open bags, they prepare to eat, but we almost never see them eating! Often they will order food and then leave without eating. Once they poured out a giant bowl of cereal with marshmallows, Rory ate one bite and then left for school. In the last episode I watched, Rory was breaking pieces off a single potato chip. They are cheat junk food eaters. No wonder they are so skinny! I can definitely relate more to Sookie. Especially now compared to when I was 14. She loves food. 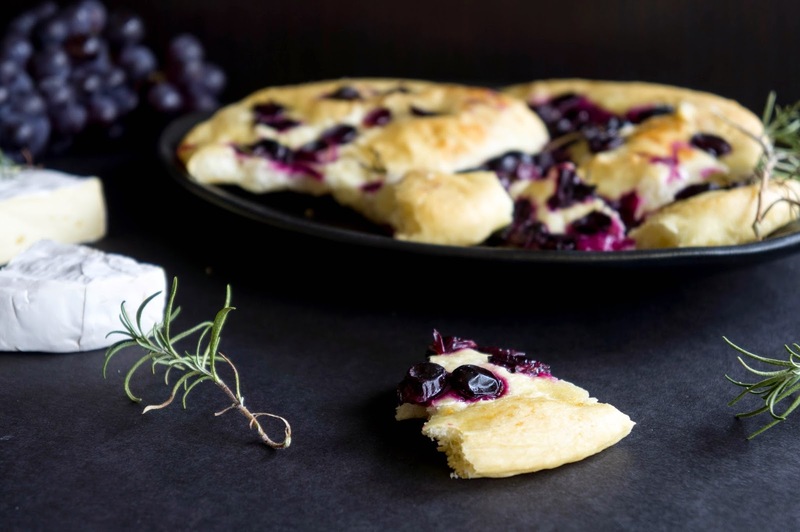 She would love this roasted grape and rosemary focaccia. She would argue with Jackson because he brought coronation grapes instead of the black grapes she asked for, and he would argue back that the black grapes weren’t good enough. 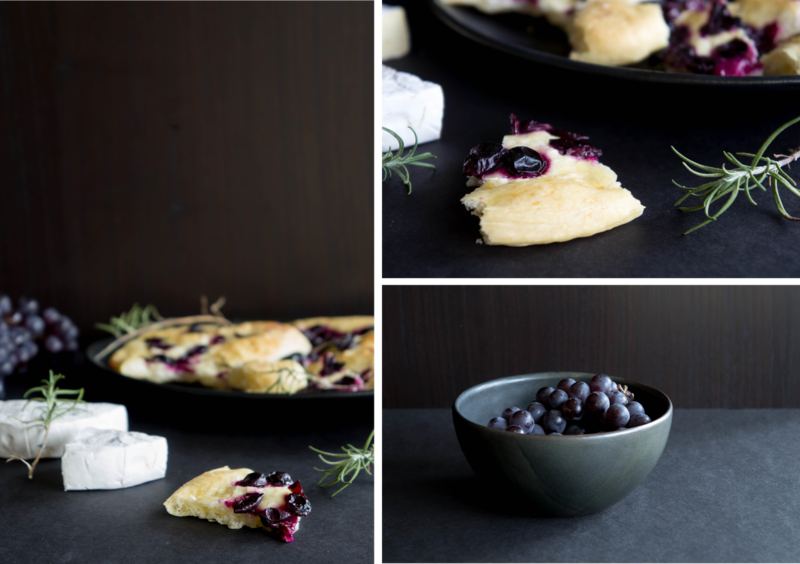 She would make the focaccia with the coronation grapes instead. 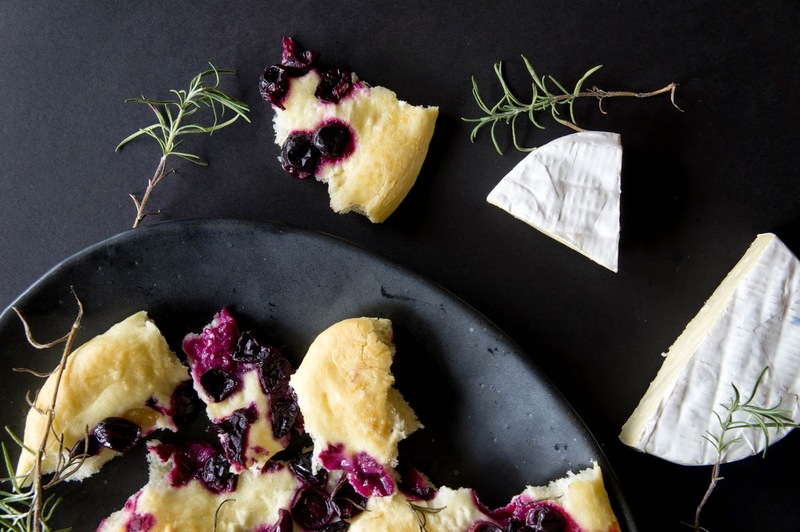 She would serve it with brie to the inn guests and make sure to pair the right wine with it. Everyone would rave. Making yeast breads can be intimidating, but it doesn’t have to be! Mostly it’s just a lot of waiting. And I like to think of the yeast as little pets that I am feeding with some sugar. That probably makes me just as crazy as Sookie. In a large bowl or the bowl of a stand mixer, combine warm water, milk, sugar, and yeast. Let sit until foamy, about 10 minutes. If it does not get foamy it means your yeast is not alive anymore! You need some fresh yeast. Add flour, olive oil, and salt and mix together. If using a mixer, attach your dough hook now. If not, dump the dough out onto a floured countertop and start kneading! Knead dough in the mixer or by hand for about 8 minutes until smooth and uniform. Grease a large bowl with olive oil. Place the dough in the bowl and brush the top of the dough with more olive oil. Cover with a clean dishcloth or plastic wrap and let rise in a cool place until doubled in volume (mine only took about 1 hour, but my house was not that cool). 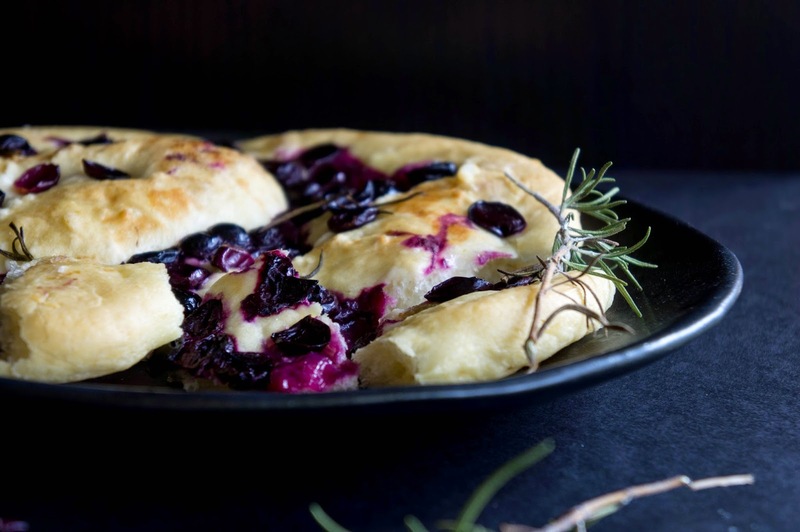 Prepare a large baking sheet (or two, there will be two focaccias) and line with parchment paper. Oil the parchment. Once risen, flour your hands and punch dough down. Divide dough into two pieces. Place pieces on prepared baking sheet, brush with more olive oil, cover with the dishtowel again and let rest 20 minutes. Once rested, stretch each dough ball into an 8-9 inch circle. Cover again and let rise for another hour. Preheat oven to 450F. Brush the dough with more olive oil. 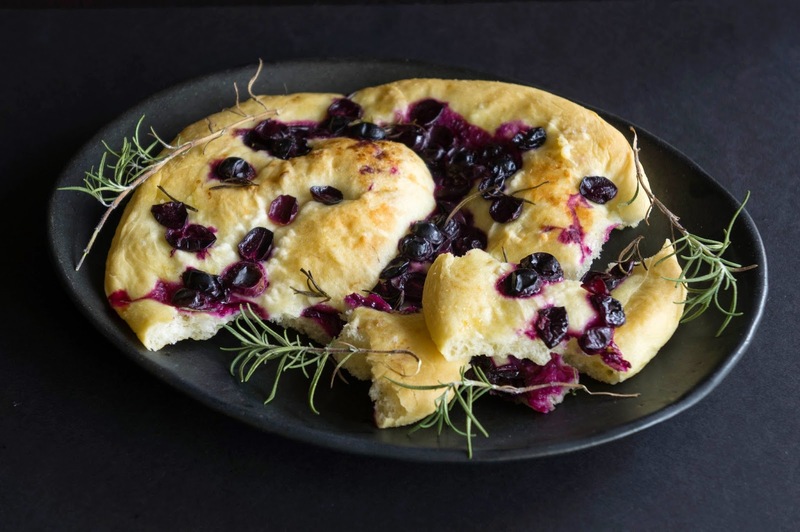 Sprinkle grapes, rosemary, sugar, and salt on top of each dough circle. Bake in the preheated oven for about 20 minutes or until dough it puffed and golden brown. Let cool on a rack before serving. 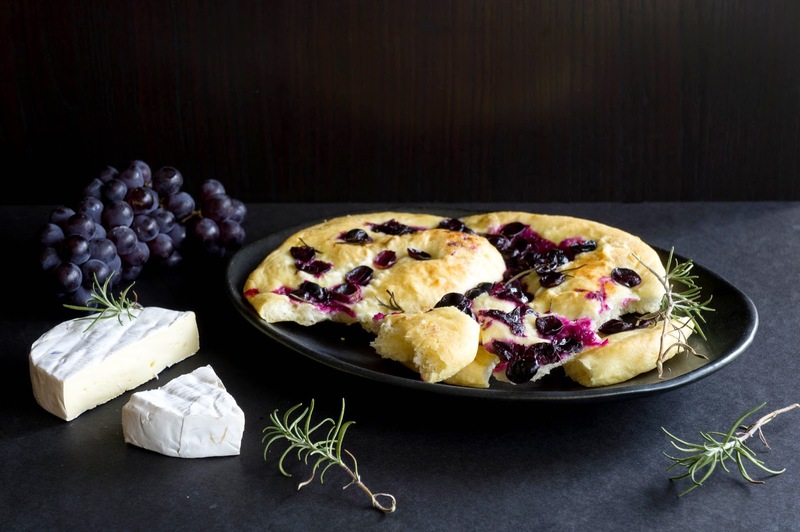 Enjoy with some brie or other soft cheese and a glass of wine.